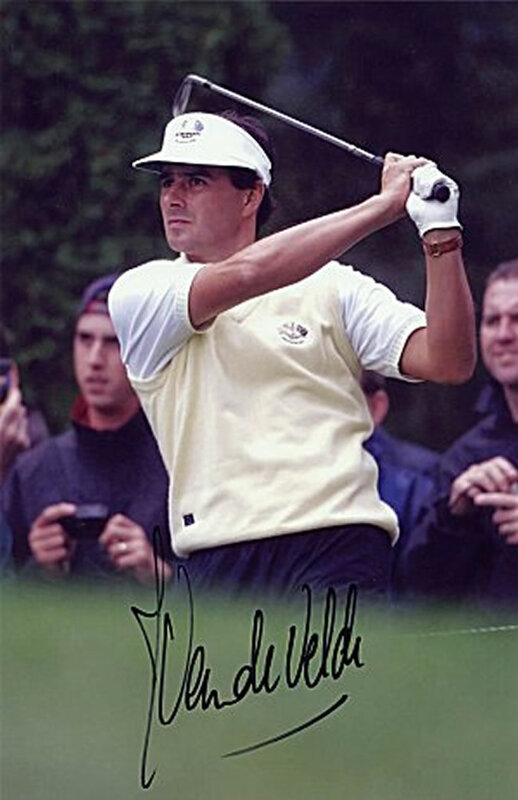 Jean van de Velde was born on 29th May 1966 in Mont-de-Marsan, Landes, France although currently lives in Dubai with his wife and young children. Van de Velde turned a professional golfer in 1987 and is perhaps best known for his triumphant loss of the Open Championship in 1999 when he was all set to become the first Frenchman since 1907 to win the tournament but blew it in spectacular form by hitting three catastrophic shots in a row. To download and save this celebrity autograph of Van De Velde simply place your cursor over the celebrity autograph and right click on your mouse, then download the celebrity Van De Velde autograph onto your hard drive!